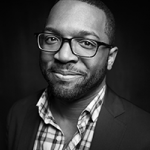 D&S advisor Baratunde Thurston details his frustrations with Trump supporters. I want to live in the world where the second chances Donald Trump has received thousands of times are redistributed to others who deserve and would do more with such chances. For with all his second chances, what has he done for others? But that black teenager could become a legitimate business owner. That Syrian refugee could create great art. That migrant worker could revolutionize our education system. And the millions currently incarcerated, largely for non violent offenses, could return to their communities as assets.